It’s always a good idea to do a visual check of your home in the Spring. Chimney and Roof: Have a look at your chimney and roof to check if there is any damage. Gutters and Downspouts: Grab a ladder to check your gutters for clogs. To protect your home you need to remove the debris in the gutters and don’t forget to make sure your downspouts channel water is at least five feet from foundation walls. Foundation: Winters can be tough on your home. Be sure to check for any cracks in the foundation and fix them before April showers arrive. It’s an easy way to avoid water getting into your house and causing damage and expensive repair bills later. Foundation Vents: For houses with crawl spaces, also check the vents along the foundation walls. These vents provide air circulation that helps prevent excess moisture and mold growth. 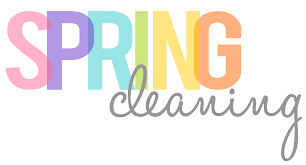 Spring is a great time to clean them out and check for damage. A clogged dryer vent can be a fire hazard. Check your dyer vent for lint build up. Replace all filters in your home, which could include: furnace, air-conditioner, water, range hood. Standard practice is to replace these filters every 3-6 months (depending on the type of filter you have). Spring is the perfect time to test smoke alarms and CO detectors and change out batteries as needed. It only takes a few minutes and can save your family’s lives. Being proactive about your home maintenance is an essential way to reduce unnecessary repair costs and avoid health emergencies.